Their breads are to die for but I'm going to have to try their pasta like you said. I always get this have jittery feeling when I go there. Their $2.99 Italian cost cut is the best deal! I also like the smoked turkey and artichoke sandwich, as well as the meatball sub! Ah I have yet to go there, but I hear its awesome!! 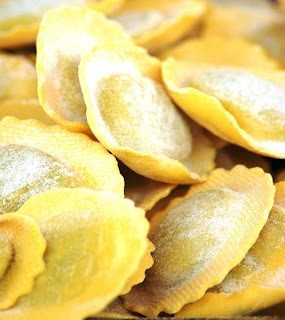 gotta love butternut squash ravioli! After I read your post. I think that my next trip will be a country where I can enjoy their food. I think that food is a great way to interchange cultures.